News from the High Street! Welcome to the West Wickham Commons Newsletter covering West Wickham Common and Spring Park. Summer is starting to get into full swing. 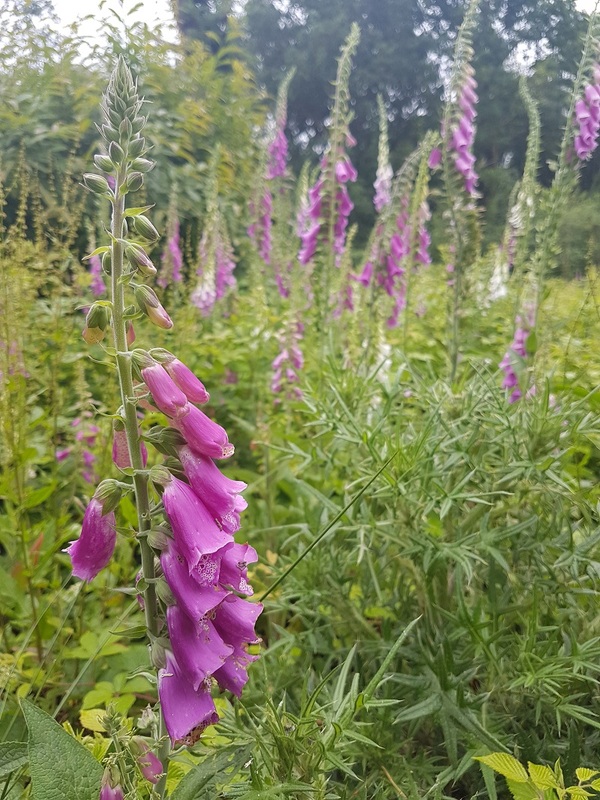 Wild flowers such as fox gloves blooming, butterflies such as Meadow Brown fluttering and the crickets hopping across the Earthworks. It is the perfect time to take an afternoon stroll across West Wickham Common. 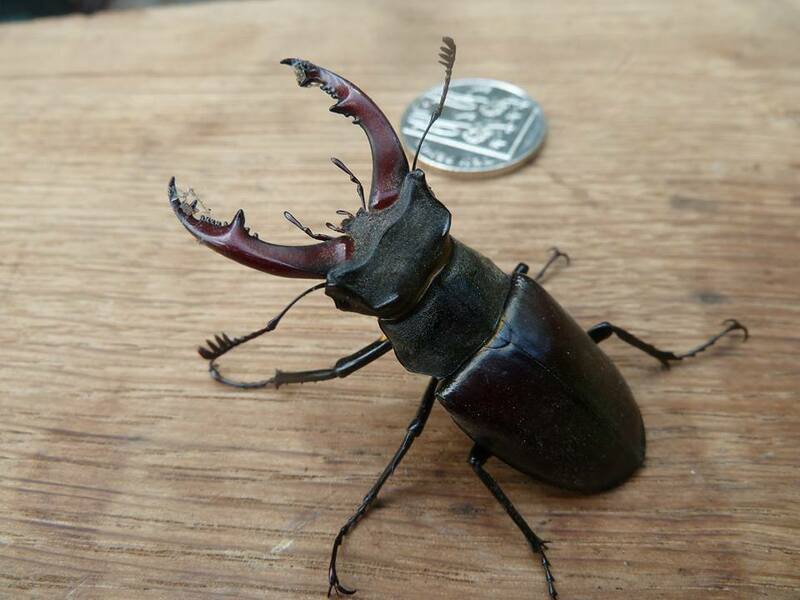 You might be lucky and see the UK`s largest beetle – the stag beetle which emerges between June and August after spending up to 5 years as a larvae eating rotten wood. Another highlight are the Broad-leaved hellebores scattered along the woodland edges. 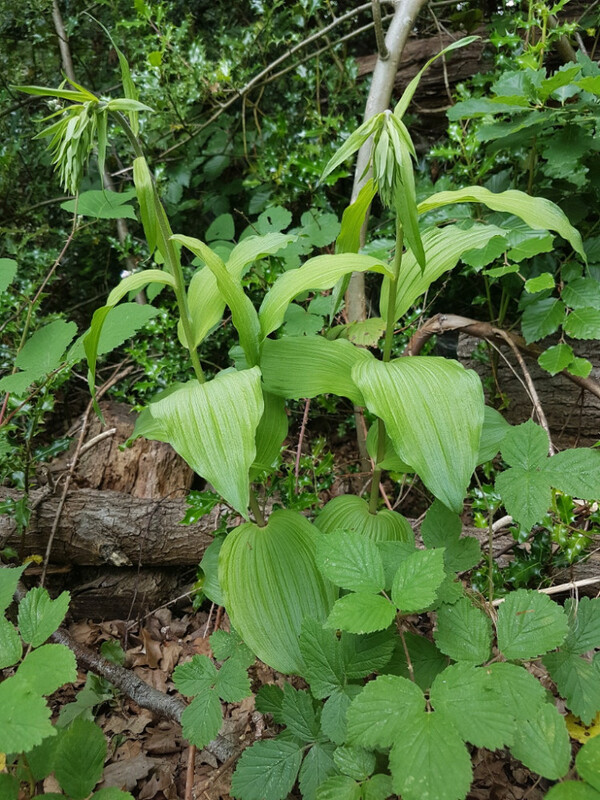 Don`t forget to share your wildlfie sightings with us via Twitter (@CityCommons #WestWickhamCommon). 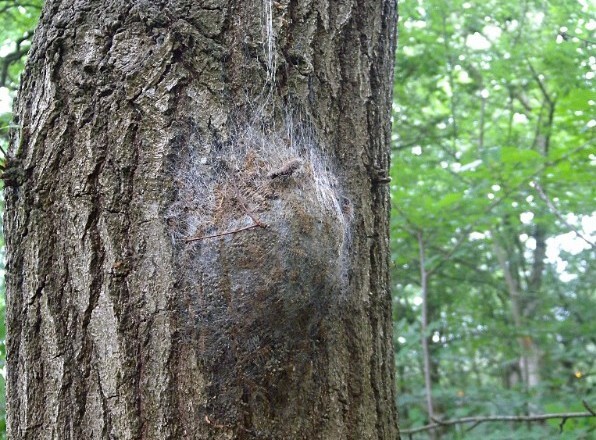 The rangers have been busy surveying Spring Park for nests of the Oak Processionary Moth. Caterpillars which build white, silken trails and nests that are usually dome or teardrop-shaped. The caterpillars have thousands of hairs containing an irritating substance which poses a hazard to the health of people and pets. Luckily the ranger team didn’t find an OPM nest on Spring Park but they are on trees very nearby so please let us know if you spot any. For more information please have a look at the Forestry Commission website or contact us on 01372 279083. Foundation class students from Wickham Common Primary School recently joined the ranger for a walk exploring West Wickham Common. 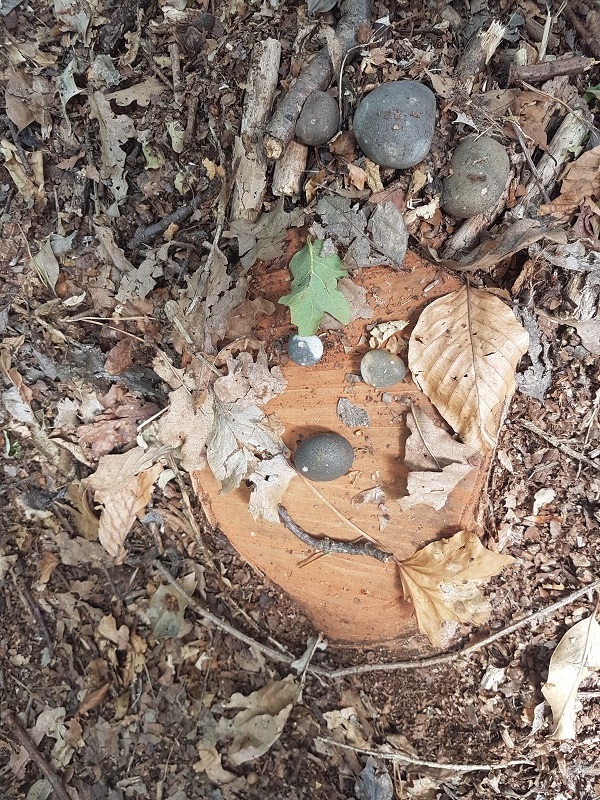 They found out about the ancient oak trees, how trees can function as a noise barrier and why stag beetles can be found on the Common. 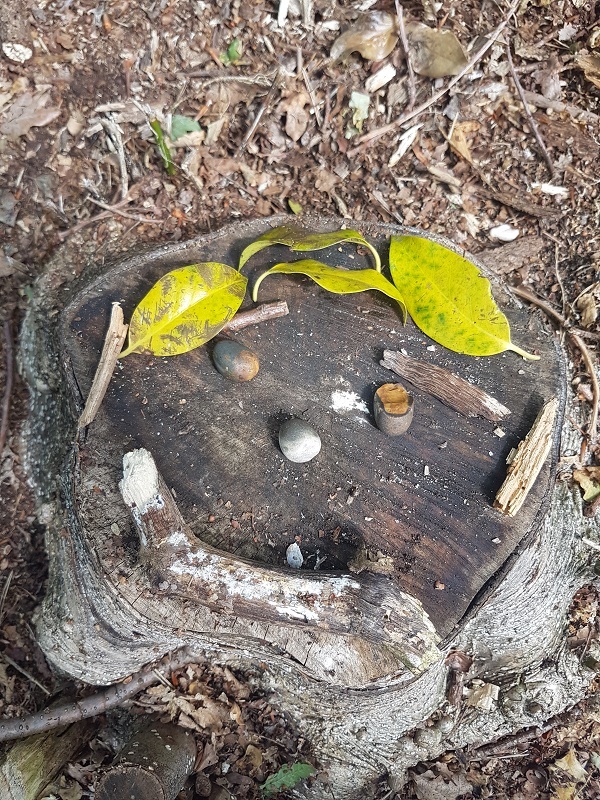 The school children also had time to count butterflies and create natural art on cut tree stumps – see the results above. Join us for a great outdoor family event at Spring Park. 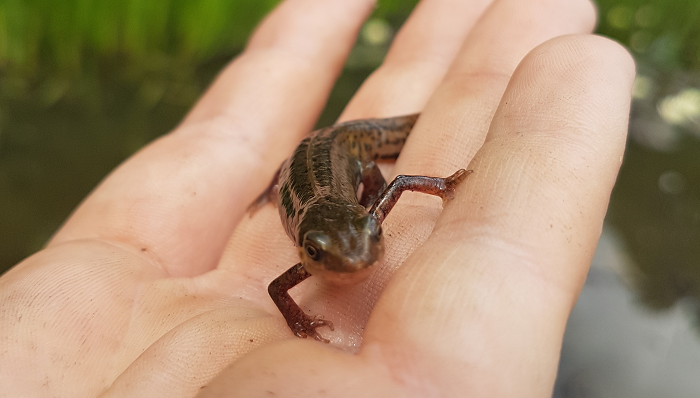 Have a go at pond dipping to see what underwater creatures you can find. Suitable for children aged 5 and older. Children need to be accompanied by an adult throughout the event. Please book your ticket via Eventbrite or give us a ring 01372 279083. Please meet at Spring Park Office.